Do Paid Social Ads Really Work? You Bet They Do. The simple answer is yes. Paid social does work. It’s just what you need to increase revenues and keep loyal customers coming back for more. This year, over 3 billion people actively use social media. Those numbers continue to rise. It’s up 13% in just the last year. 42% of the 7.5 billion Internet-users are active social media users. Nearly 3 million are doing so from mobile devices. Social media is where the people are. But as a realistic person, you know that this alone doesn’t mean social media ads work. Statista Research Group estimates that ad revenues for 2018 will exceed $51 Billion, an 11% increase over the year before. 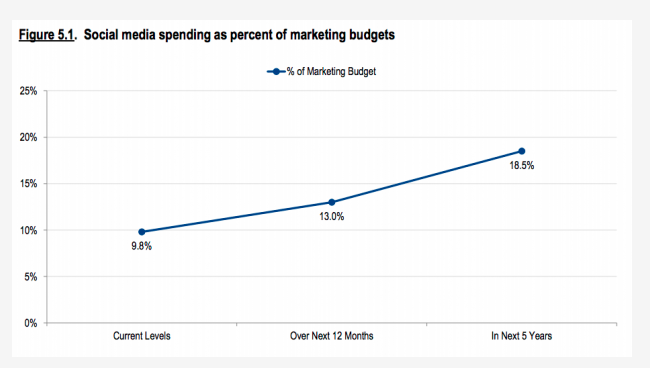 A CMO survey found this: As businesses continue to get results through social media, they’re increasing their social media advertising budgets by 32% this year. Experts expect it to nearly double in 5 years. Let’s explore the how, where, what and why’s needed to get social media advertising to work for you. To get results with social media advertising, know why people use social media and build strategies around it. Buying things comes in at number 8, a respectable showing for something that many people don’t want to admit they use social media for. Incorporate your paid social goals with one or more of the 4 top reasons people use social media. That’s when paid social works at its best. Over 45% of Internet users have ad blockers. Even if your ads aren’t getting blocked, this highlights the fact that people today are tired of traditional ads. An Adobe study found that 50% of people ignore ads when they see them. They think it’s easy to do so. There’s likely some overlap. But if we say 45% (ad blockers) plus 50% (ignorers), that’s almost everyone. Paid social works best when it doesn’t feel like advertising. Ads don’t feel like ads when they’re highly relevant and seek to engage first. Advertisers are catching onto this. 57% of Millennials and 41% of Gen X think that advertisers are getting better at sending them more relevant ads that don’t feel like ads on social media. If you’re not, your ad campaigns will struggle. It might even feel like social ads don’t work. You may automatically think of Facebook when we say “Paid Social“. Facebook is a top choice for many businesses with good reason. It allows business to really hone in on and send ads to their most likely customers. But it may not be the best place for you to put your ad dollars. This platform will often be where you’ve gotten results in the past. But it’s important to understand that the social media landscape changes from year to year and even month to month. For example, Twitter, which is still great for some businesses, lost a lot of active users last year. This summer, they deleted over 1 million fake accounts. They’d been watching these accounts for some time and finally made the move. In the long run, this is a great thing for Twitter. In the short term, it impacts some users. Recent changes to Snapchat left some users in an uproar, hitting the company’s market value by over $1 billion. It’s still a great place to advertise. But this may have impacted your target audience. At the same time, Instagram is gaining users at phenomenal speed. They’ve teamed up with Facebook’s Ad service to deliver ads across both platforms. YouTube is becoming a more viable ad platform as its parent company Google continues to improve your ability to target audiences. A lot can happen in a relatively short time. Don’t get stuck trying to advertise on a platform that’s not a good fit for your business. You have so many options. Do your research. Track your campaigns. And choose wisely. If you’re questioning whether social ads work, consider whether you’re just not on the right platform. Just like social media advertising isn’t all about Facebook. It’s not just one thing when it comes to how you choose to use the platform to advertise. Understanding the different ways to advertise helps you choose the right ones for you. Here are the basic types of paid social. But keep in mind that beneath these broad categories, you may have more options to choose from on specific platforms. Your own social media profile is a great place to test potential ads for “free”. Or you may find that a post unexpectedly got a lot of attention. Now what? How do you make the most out of this? Don’t let this opportunity slip away. It will be called different things on different platforms. But what you’ll do is boost the post to get more visibility. You pay for people who aren’t following you or finding you naturally through hashtags to see the post in their feeds. There’s a right and wrong way to boost posts. Do use the tools available to target who sees the post. If you’re a local business or sell only in the U.S., be sure to target geographically as well. This will reduce accidental clicks and reach people who are likely to become customers. Don’t boost posts that are about other influencers or businesses. Sharing other people’s content is important to everyday social media engagement. But in the case of a boosted post, that’s free advertising for them, not you. Choose posts that highlight your best content. Depending on how the platform works, they should generally link to your website and encourage people to like, comment, share or click. Track their performance just like you would a regular ad. Integrate boosted posts into your over-arching social media campaigns. Some platforms will show your ads in various placements. For example, on Facebook, you can choose to appear in the feed, beside the feed, on Instagram or on their affiliate networks. If you’re new to social media advertising, it’s best to let the system choose where you appear. But as you get savvier, you’ll find your winners and losers. Then it’s time to optimize. These organic ads appear naturally in a person’s social media feed with a small “sponsored” label. Because it’s in the feed, it’s more likely to get shared. Once shared, it seems more like a friend’s recommendation than an ad. This is a great way to get the word out and get more customers. Some platforms show ads outside of the newsfeed. These will be seen as ads by your target. But they get a lot of visibility. That’s great for brand awareness even if they don’t click the ad. Use the platform’s targeting tools to make them very relevant for the people seeing them and they can perform very well. In terms of cost, you’ll pay about the same for a newsfeed ad as a sidebar ad. They can be equally effective. Facebook has teamed up with affiliate websites to show your ad on other websites. The click-through-rates on these are lower. And conversion rates tend to be lower because people are more likely to misclick. But this is reflected in a lower cost per click. Think of this as discounted advertising. You may find that this perfectly balances the reduced performance, making this type of ad worth your while. Remarketing is a technique that involves redirecting people who visited your site back to your site. Social advertising is a great way to remarket. Remarketing can increase intended clicks by 400% and double revenues. When you sign up and follow the easy setup, a social media platform will place a cookie in the browser of someone who visits your website. Then when they come back to the social media site, they see the ad inviting them back to your website. It could be a special offer or just a visual reminder that they have unfinished business. You can also remarket to people who’ve visited your profile. Remarketing is all about second chances. Sometimes, people get distracted when they first visit. Remarketing is a great way to bring them back. Another way to pay for social media advertising is to “work around the system”. Instead of paying the social media platform to give you more exposure, you may a person who has a following to mention your brand, share your posts or take other actions. This can cost anywhere from a couple hundred to thousands for a small business. And sometimes, it doesn’t work. But the influencer keeps the money for services rendered. You may be trying to buck the system. You don’t want to pay for a click. This may be a good option for you. But mistakes can be costly in influencer marketing. Here’s are some quick tips you need to know. Have a significantly engaged following. Anyone can get 1000 Twitter followers. But are they engaging? Also consider looking for creative deal opportunities. How about share-swapping with a non-competitor? Or agree on lower upfront costs with a performance-based bonus. Look for influential people who are already talking about you on social media. Thank them. See if you can work something out. We’ve talked about the where, the what and the how. Now, let’s look at the why. In order for paid social to work for you, you need to know why you’re using it. That requires goal setting. Know what you want to achieve. Ultimately, you want to increase profits and grow. But vague goals like this indicate a misunderstanding about how social media or any marketing campaign works. You need smaller SMART Goals that you can build around and measure. Specific — It’s not vague. Measurable — It can be tracked and measured through free and/or paid analytics tools. Attainable — You can achieve it. Setting pie in the sky goals that you can’t attain will sabotage your efforts. Relevant — It helps you work toward your overarching goals, like increasing revenues. Be careful with this one. Does getting more likes on Twitter help you increase revenues? It might. But, by itself, it might not correlate closely enough to make a good goal. Timebound — You have clear deadlines by which you plan to achieve benchmarks or the whole goal. Your goals don’t stand alone. They work together to paint a performance picture. Once you have a SMART goal, it’s clearer how to put strategies in place to achieve it. Let’s look at some common social media goals and how you could use social advertising to achieve them. Email is the best way to nurture leads into paying customers and increase customer lifetime value (CLV). Paid social media is a very effective way to build that list with high-quality leads. Do this by creating a content marketing funnel. The paid social media ad will be the top of the funnel. Entice a person to provide their email by offering a chance to win something that your target will find valuable. Or offer them valuable content or a free trial in exchange for an email. Once subscribed to your email list, continue to send them relevant content to increase revenues. As you do, you’re leading them into the funnel where they become your customers. Having more followers amplifies your paid social efforts. Your followers help you test ad concepts. They click, engage and share without you having to pay for a click. To get more followers, your social ads should focus on delivering amazing content to your target audience. Amazing content is the kind that your target wants more of. They’ll check out your profile when they see it. Many of them will then follow you to get it. Getting more website traffic offers many benefits. It helps improve your visibility in the organic search results with the help of great SEO. It gives you a more controlled environment in which to nurture a lead or make a sale. Boost posts that drive people to content on your website like a video or blog. Use remarketing ads to get people who know you back to your website. In addition to leading people to your website, make sure it’s ready to receive them. A poor website experience will negate the benefits of increased traffic. Building a landing page for your ad campaign that urges the clicker to do something while there helps you make the most out of this visit. It will set you up for success with that visitor as they become a customer. Social media engagement provides social proof to people who don’t know your brand. If other people like them are interested, they’ll take a closer look. It helps set you apart from the thousands of non-name brands they see each week. To increase social media engagement, use ads to target people who’ve already visited your profile and/or website. On average people will have 7-13 touch points with your brand before they become customers. By targeting these people who already know about your brand, increase and speed up the touch points. Depending on your business model, the “quick sale” may or may not be the best way to approach advertising. For example, high priced and more complex products/services often require nurturing. Low priced items that people often buy on impulse are ideal for quick sale strategies. Depending on which kind of offerings you have, you’ll approach the quick sale differently on social media. Use paid ads to significantly increase visibility. Increase your reach as much as possible while still targeting your ideal customers. Use repetition combined with very visually stimulating ads. Add a compelling offer that’s hard to refuse. Be aware that this will earn you a lot of clicks very fast. You have to pay for each one. Monitor your conversion rates and other analytical data closely when you launch this kind of campaign. Make changes as necessary to make sure you’re actually making the sales. Failing to do this can cost you a lot of money quickly with little return on investment. If you’re new to social media advertising, set a lower end max spend for the day. You can set it as low as $10/day. As you become more confident that you’re conversions are sufficient, up your spending. That is as long as you can handle the influx of orders. Also, note that this isn’t a good long-term strategy. Your acquisition costs will be higher than they should be. Complement quick sales tactics with other strategies to keep costs low and profits high. You can still increase quick sales on purchases that require some thought and consideration. You just need to reach people at the right place in the buyer’s journey. That’s people who are already in the final stages of a buying decision. They’re already well aware of the problem your product/service solves. They’re also familiar with your brand. Or they can quickly assess you through social proof and great reviews. They’ve been doing their research. They’re ready to buy. Use ads to speak directly to people toward the end of the buyer’s journey. Encourage people who’ve been on the fence about taking the “leap” to buy a more complex or expensive product. This is yet another place where remarketing can be very effective. You’re targeting people who already know about your brand. If you don’t have a lot of great reviews or social proof, it will be more difficult to make a quick sale on complex offerings. Instead, focus on building these up through the other strategies discussed. 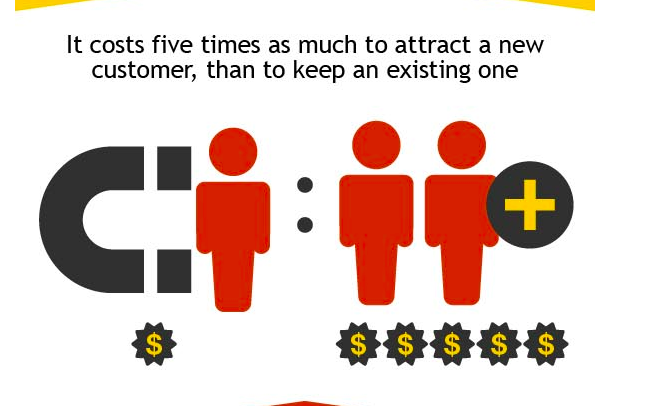 It costs 5X more to acquire a new customer than it does to retain an existing customer. You have a 70% chance of selling something to an existing customer. You have around a 5% chance to sell to someone who doesn’t know you. Repeat customers on average spend 31% more with each new visit. You can almost double your revenues simply by increasing retention by 5%. To get the most out of your social media advertising, it’s important that you have systems in place to re-engage your existing customers. Keep them coming back and spending more money. Don’t let them get lured away by the competition. Despite the importance of repeat customers, only 18% of business have processes in place to retain customers beyond basic customer service. How do you use social media advertising to increase loyalty and customer value? 68% of customers say they prefer to receive exclusive offers that recognize their loyalty versus a coupon everyone gets. 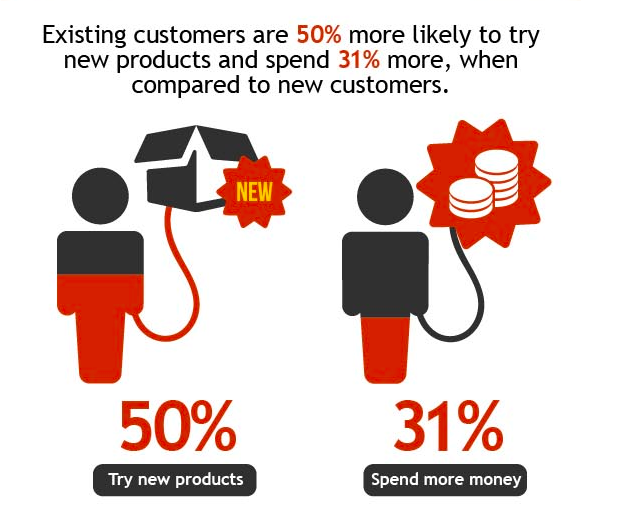 Target your customers and offer them discounts or add-ons that reward loyalty. Continue to engage these customers specifically. In addition to basic social media analytics, track the average time between purchases. And look at the average spend per customer per visit and over a specified time period. See those numbers go up. Know your strategies are working. Facebook will allow you to upload your customer contact list. They can then find your customers on Facebook and Instagram by matching up the information. Yes, paid social works. But getting the most out of your social media advertising budget requires an understanding of… Where do you place your ads? How do you reach people on social media? What types of ads will work best for your business, customers and goals? And why are you running your social media ad campaigns in the first place? Are you struggling to get paid social to work for you? It’s time to talk to a professional. We can help you apply the right social media strategies to grow your business. Contact us to request a consult. This is amazing, looking forward to seeing a more relevant articles like this.